A recent Facebook post from Capcom's R&D Division has asked fans what they think about a possible Resident Evil 2 remake. 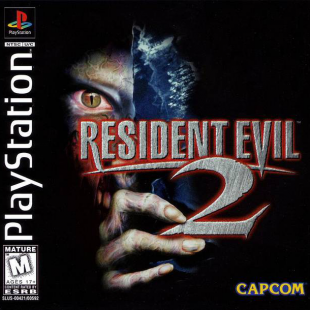 While the original Resident Evil is considered by many to be the essential survival horror classic, there are some (present company included) who would point to its sequel, Resident Evil 2, as being a far superior product. That being the case, you can perhaps understand the frustration of the game's fans who have watched Capcom re-release and remake the series' first game on several occasions while barely even giving its follow-up the time of day. If a recent Facebook posting is any indicator however, that's something that could potentially change. Writing last night on the Resident Evil Facebook page, Capcom's R&D Division asked fans for their thoughts about a possible Resident Evil 2 remake. "Enthusiasm for a Resident Evil 2 remake is something we've been hearing from you over the years, and has drawn some recent attention in the media," the company wrote. "We're not certain how we feel about this approach, and would like to ask your honest and frank opinion about the 'Resident Evil 2 Remake' and what the brand identity is supposed to be about." Since the query was posted, more than 7,000 people have offered responses with many expressing strong feelings of "take my money now, please." While the phrasing is perhaps a bit odd, it shouldn't come as much of a surprise that Capcom might be curious about gamer's take on a possible RE2 remake. Setting aside the fact that the game's freaking awesome and deserves more attention, last year's HD remaster of the 2002 Resident Evil remake was actually something of a hit for the company. Capcom has likewise since expressed interest in producing even more remasters and remakes to help bolster its bottom line. Continuing with Resident Evil 2 would only make sense.